The public debt of euro area member states grew by 1 percentage point to 92.9 percent of total GDP in the first quarter of 2015, according to the EU statistical service. Greece, Italy and Portugal top the list of the eurozone’s biggest debtors. The new debt to GDP ratio is more than fifty percent higher than the maximum allowed level of 60 percent determined by the Stability and Growth Pact, a set of rules designed to make sure EU members “pursue sound public finances and coordinate their fiscal policies,” Eurostat said Wednesday. The public debt of all the 28 EU countries, including those that are not part of the eurozone, is growing even faster. In the first quarter of 2015 it grew by 2 percentage points, piercing 88.2 percent of the total GDP of the European Union, says the report. “The highest ratios of government debt to GDP at the end of the first quarter of 2015 were recorded in Greece (168.8 percent), Italy (135.1 percent) and Portugal (129.6 percent), and the lowest in Estonia (10.5 percent), Luxembourg (21.6 percent) and Bulgaria (29.6 percent)”, the report says. However, the Greek ratio has shown a downward trend, decreasing by 8.3 percent compared to the fourth quarter of 2014. In July, the Italian central bank said government debt had increased by €83.3 billion in 2015 as of May, touching a record €2.21 trillion. The bank linked the growing debt to a fall in the euro exchange rate, changes in the sovereign bond market and an increase in money supply. 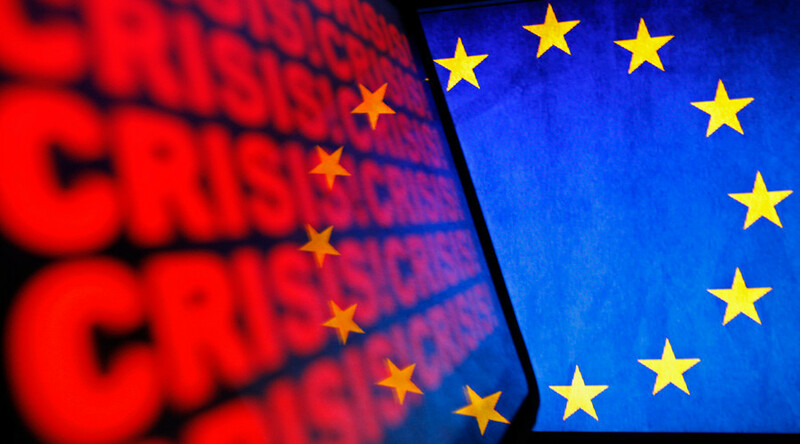 The EU has been trying to eliminate the consequences of the 2008 world economic crisis, while the widespread failure to comply with the Stability and Growth Pact is another factor for the growing debt.